Allyn Jaffrey Shulman, who just won the $1,000 Seniors Championship, poses with her husband Barry. Both now hold WSOP Gold Bracelets! 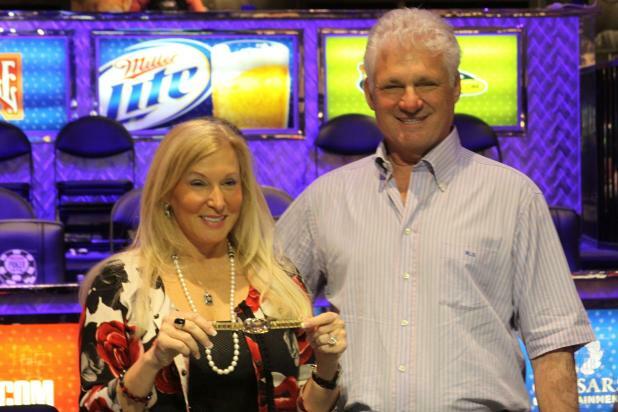 Allyn Jaffrey Shulman throws her hands in the air as a club hits the turn, giving her a flush and a double up against Dennis Phillips at the $1,000 Seniors Championship final table.